It all started as a dream to turn bushes, thorn trees and raw land into a marketplace that would transform lives. 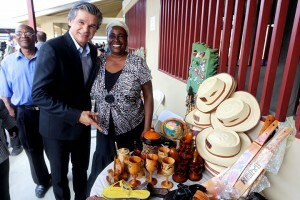 We knew the Miracle Market would give hope and dignity to the poor by creating jobs for Haitians. It was a dream that went beyond what we had done before. This dream would create an environment to help Haitians help themselves by creating opportunities for sustainability. With more than 80% of the country’s population living below the poverty line and more than 2/3 of its labor force unemployed, Haiti is currently one of the poorest countries in the world. The Miracle Market can truly be a miracle by providing jobs, goods and services within a reasonable distance in a protected environment, opportunities for local farmers and craftsmen to trade and sell products, training facilities for learning skilled labor, and sustainability programs for raising produce, fish, chickens, and processing meat. Finally, on December 9th, 2014, the long awaited opening arrived! 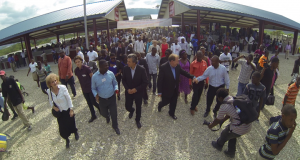 Gwo Maché Mirak, or Grand Miracle Market, was dedicated and opened! It is the largest outdoor marketplace in Haiti. 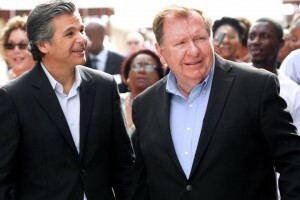 It will serve the people of Fond Parisien and beyond with jobs and products. We committed the $1,000,000 it would take to build this dream and you, our Kingdom Connection partners, made that a reality! Your sacrificial donations put many people to work and activated countless organizations and volunteers who dedicated thousands of hours to complete the construction and logistics necessary to open the gates! Giant steel beams were erected that are built to withstand earthquakes, classes were held to train Haitians who wanted to open their own businesses, and a local Haitian management company was hired to oversee the day to day operation of the marketplace. Haitian government officials, the Love A Child Board of Directors and Pastor Jentezen Franklin all gathered for the inspirational dedication of Gwo Mache Mirak to God and to the Haitian people! Over 1,000 people were present for the dedication and grand opening tour. Madame Noel sells eggs in order to feed the orphans in her village and now she has a booth at the Grand Miracle Market to sell many different items. Mackenson, a widower with nine children in his care, now has a job at the Grand Miracle Market! And the list goes on and on. Haitians say, “Hope makes us live” or “Hope gives us life” And it’s true! 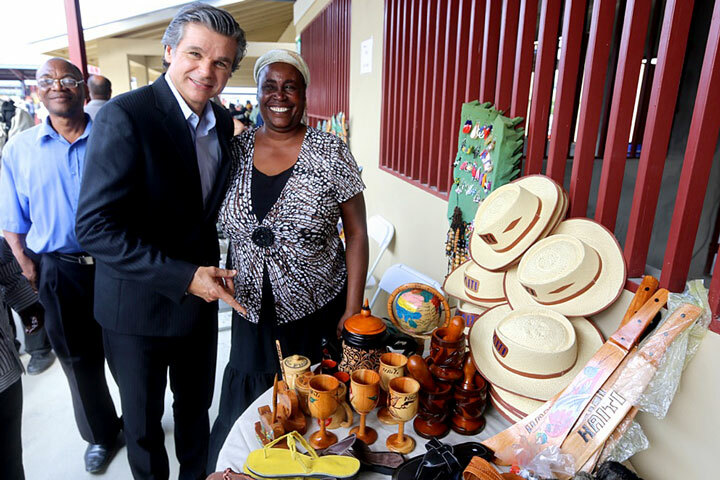 The Grand Miracle Market has brought hope for thousands of poor Haitians and many more will be blessed! As day turned into night, the young people of Fond Parisien kicked the evening into high gear! An estimated 4,000 people came out to enjoy the evening entertainers, local bands and lively celebration. Live music rocked the night as everyone enjoyed the new marketplace and had a great time. It was a celebration of life, the Lord and hope for a better future for the impoverished people of Haiti!